This imaginary, carefree scene of the 1920’s shows an endless, empty boardwalk that stretches to a vanishing point. 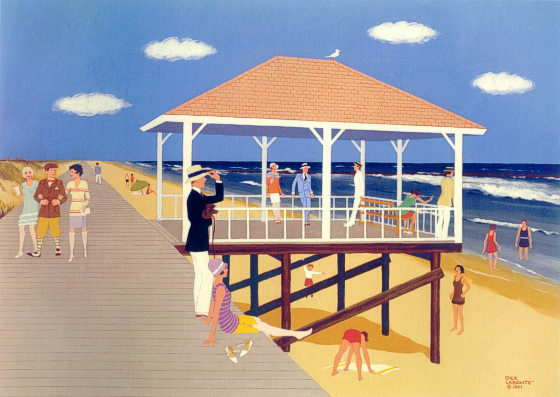 While the artist based the little pavilion on the one that was in Spring Lake at the time, it’s a place we all know, where a big, nostalgic sigh will fill you with all that fresh sea air. Kick off your shoes, and take a deep breath!